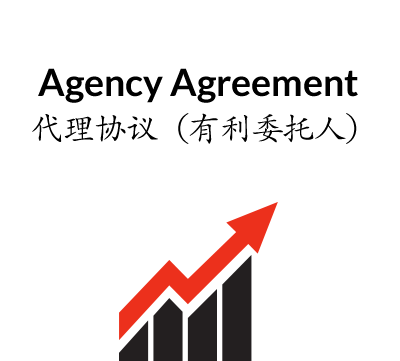 This dual language Chinese-English Agency Agreement is suitable for use by a company or individual who wishes to act as agent for a manufacturer or supplier of goods on an exclusive basis in a defined territory. a general clause detailing assignment, subcontracting, notices and the scope of the agreement. 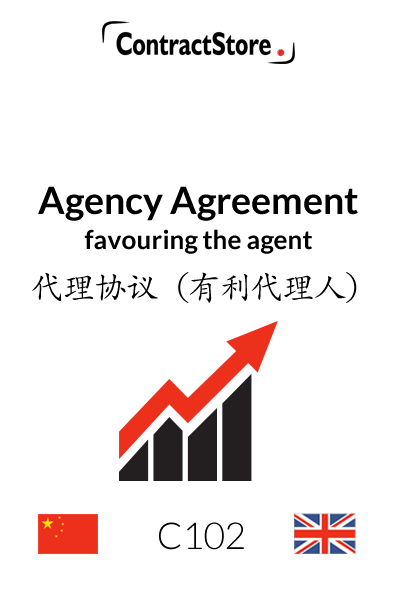 This version is written from the agent’s point of view. 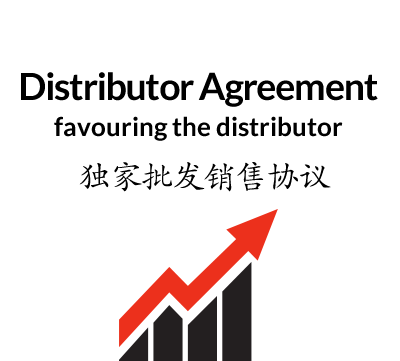 You will need this document if you are a company or individual looking to act as an agent for a manufacturer or supplier of goods in China or elsewhere. DATE AND PARTIES – see our separate note https://www.contractstore.comsigning_contracts. In the case of the parties, the official address of each of the parties should be inserted and where a party operates under a P.O. Box Number, a physical address might also usefully be included. 10.1 restricts either party from assigning the agreement without the other’s written consent. 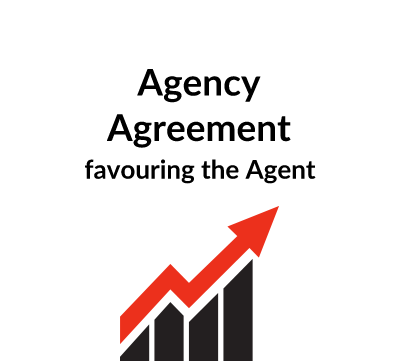 Clause 10.2 gives the Agent the right to appoint sub-Agents. Clause 10.3 deals with formal notices. 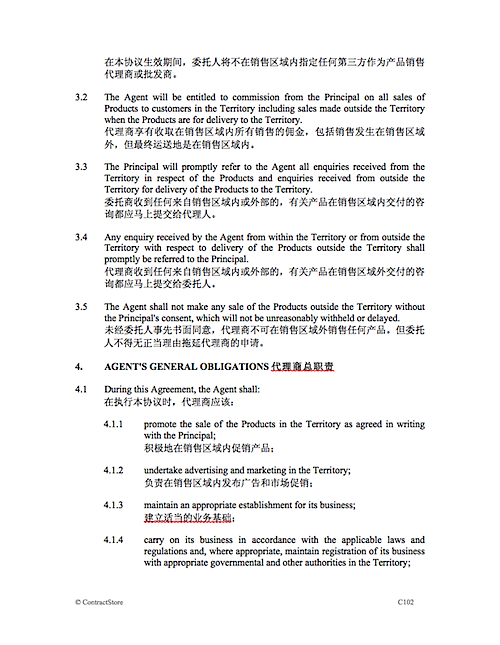 This clause specifies the ruling language of the Agreement – either English or Chinese in 11.1. 11.2 specifies the governing law – i.e. the law of the country that will be applied when interpreting the contract. 11.3 provides for the parties to try to resolve any dispute by direct negotiation. If this fails, the dispute will either be referred to the courts or to arbitration and we have alternative versions of 11.4, one of which should be deleted. If the courts are preferred to arbitration, the country to be selected will normally be the same as that in clause 11.2. If arbitration is chosen, the arbitral tribunal needs to be specified and we have suggested either CIETAC, China International Trade and Economic Commission, which is based in China or the LCIA, London Court of International Arbitration, which is in London. There is free information on our website concerning governing law and arbitration.